The most robust marketing strategy in the world means nothing if you don’t know how to generate leads in commercial real estate. In commercial real estate, prospecting is critical that to help create opportunities, capture interest, and fill your funnel with warm leads that you can nurture and close. Bonus: Download the PDF version that includes this list and 4 bonus tips. Click here to download. Let’s take a closer look at 18 tactics and ideas to help with your commercial real estate lead generation. Mining your existing contact list is a good place to start and try to segment your contacts based on interest, profile type and level of prior activity. Even contacts that have been inactive for several years may prove to be potential opportunities as their needs may have changed alongside what you can offer. Reach out via email, phone, or LinkedIn to reengage these older contacts. Beyond your existing database, you can also create curated databases of potential leads from listing sites like Loopnet Property Records. Below is an example of how you can target building owners for a specific property and gain direct access to them and start filling up your contact list. ProspectNow has a predictive algorithm that helps you identify properties that are most likely to be listed for sale in the next 12 months. The way the algorithm works is it looks at hundreds of data points each week on properties that are actually selling and then they apply the characteristics of properties that just sold to properties that have yet to sell. 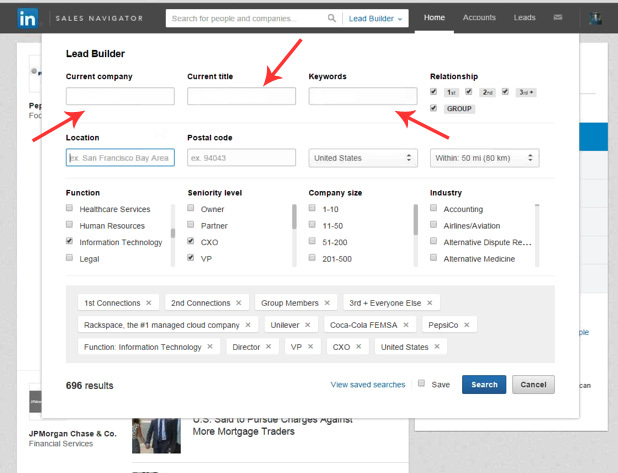 Use Linkedin’s people search to find prospects by location, industry, current company, and degrees of separation. You can then send direct messages to open doors and start your outreach efforts. If you want to get more serious about your lead generation, then check out Linkedin’s Sales Navigator tool. It is one of the most effective social selling platforms for CRE professionals that want to engage brokers, tenants and investors at scale. The foundation of any inbound marketing efforts is a website that can be easily found and help successfully capture, engage and converts visitors into potential leads. No matter who your target is (investors, tenants, landlords) building an effective website is the single most important marketing asset of any lead generation effort. A blog provides high value content to prospects, as well as a new avenue through which they can find your website. Articles covering topics related to local real estate, commercial real estate in general, state and local laws and financial news, and editorial insights on recent events establish you as a thought leader and will generate new traffic for your website. Offer your visitors a simple way to subscribe to your blog by providing invaluable information. In addition to your contact forms, you should have gated content in the form of eBooks, white papers, checklists, case studies, and other documentation. These gated documents, also known as lead magnets, can be promoted on relevant pages of your website, linking to forms that capture user information before they can download the content. Google AdWords is a massive advertising platform that allows you to reach people through pay per click campaigns. By targeting the location and property-specific keywords like “office space Chicago” your prospects are searching for, you can rapidly expand your reach and drive people to your website or landing page to convert them into leads. Google AdWords is expensive though, and in our previous post we analyzed the most expensive commercial real estate keywords, so you’ll need to carefully calculate which keywords you can actually afford to get a positive return on investment. Facebook ads allow a social alternative to Google, with targeting based on demographics, location, and interests as indicated in Facebook Profiles. You can also target by Page (ex. anyone following CBRE, JLL, Colliers, etc.) , audience segment, or retargeting from previous visits to your websites. A well-optimized Facebook ad campaign can also be at times less expensive than Google’s larger platform. The goal of the ad is to drive a bigger audience to your lead generating page where they can download a piece of useful content or sign up and share their email with you. More expensive alternative to Facebook ads are LinkedIn ads, that also allow you to target a very specific audience based on their job position, company, location, interests and skills. For example, if you are leasing a large bio/pharma space, you could launch a campaign and have your Ads show to any C-level executive in the Pharma industry in San Diego, CA. Exhibiting at national conferences and local events exposes you to a large audience of potential prospects, opening up new networking and partnership opportunities, along with direct lead generation opportunities. Prior to the event, you can research who will be participating and setup as many meetings as possible to optimize your time while you’re in town. For events at which you cannot exhibit, attending and networking offers similar benefits. Local small business meetups, real estate seminars, or local conferences are all ideal locations to engage with prospective leads and partners as you build your personal and professional network. Again, make sure to setup meetings well in advance before the day of the event and remember that follow-up is the key to convert those business cards into opportunities. As an exhibitor at a conference, most conference organizers will provide at least a partial attendee list with the option to pay for access to the full list. Take advantage of this opportunity to access already warm leads with whom you have a direct connection from that event. Combined with both the inbound and outbound tactics mentioned above, you can drive new leads rapidly after a successful event. 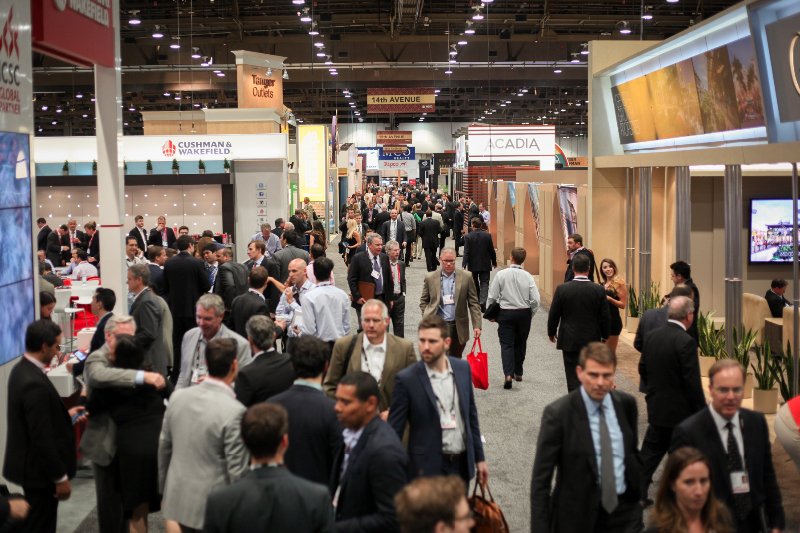 Organizations like ICSC make their attendees’ contact information on their website available for members. To ensure maximum exposure at an event, you can host it yourself. The focus of your event should be on providing value to attendees with a large turnout and ample opportunities to network with each other. The exposure you gain alone is enough to generate new interest and produce new leads. Your personal network is a prime resource you can tap to spread the word about what you do and is oftentimes an overlooked “quick win”. While they may not represent potential commercial real estate sales leads, they can help to share details about your services, your listings, and may be able to provide referrals or new contact information for parties who are interested. Your most valuable list of potential leads is the one you’ve already converted to clients. Existing clients are most likely to recommend you because they are familiar with how you do business and can trust you. Never overlook the value of reaching out to existing clients and ask for referrals. The people you work with now and have worked with in the past are a prime resource for accessing a wider audience of potential leads. They can help to share information about your newest listings and may be personally interested in pursuing a conversation either for their current company or on behalf of a client. All good ideas. What do you think of Xceligent vs CoStar? It will definitely be an interesting fight to watch! Fantastic post! Great ways mentioned to generate the quality and verified real estate leads. Thanks for this wonderful post! Excellent stuff! Today, every commercial property owner may need to know this. These tips will help me to increase the leads my property. Thanks for sharing this blog. Is there any use in creating a property website for a commercial property? Thanks! Glad you found it useful! Here’s an overview of the most important reasons why you can benefit from having a commercial property website: https://www.sharplaunch.com/why-you-need-a-property-website/. best way to grow your database is to just buy someone elses who keeps it up to date. Retail Lease Trac sells access to their database of thousands of currently expanding retailers with direct contact and expansion plan info on each on one them. That was some great ideas. 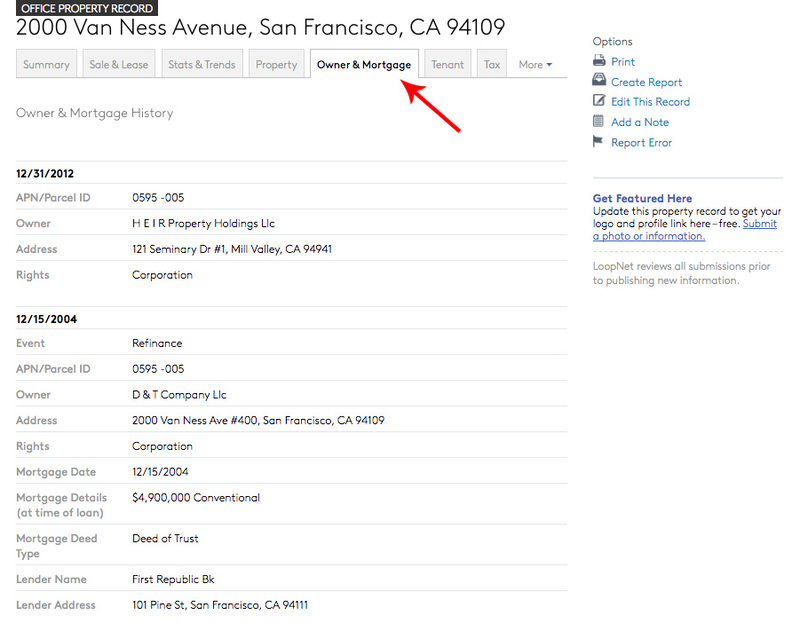 I think using a real estate tool is a great way to manage your stuff. There are many tools available in the market that can help you ease the real estate job. Thanks for sharing the post.